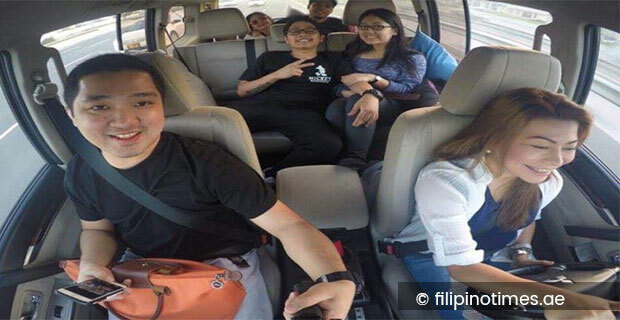 A Good Friday pilgrimage ended up in a tragedy when four OFWs including 3 men and a woman died while two other women was critically injured in a car mishap near Shahama in Abu Dhabi, UAE. 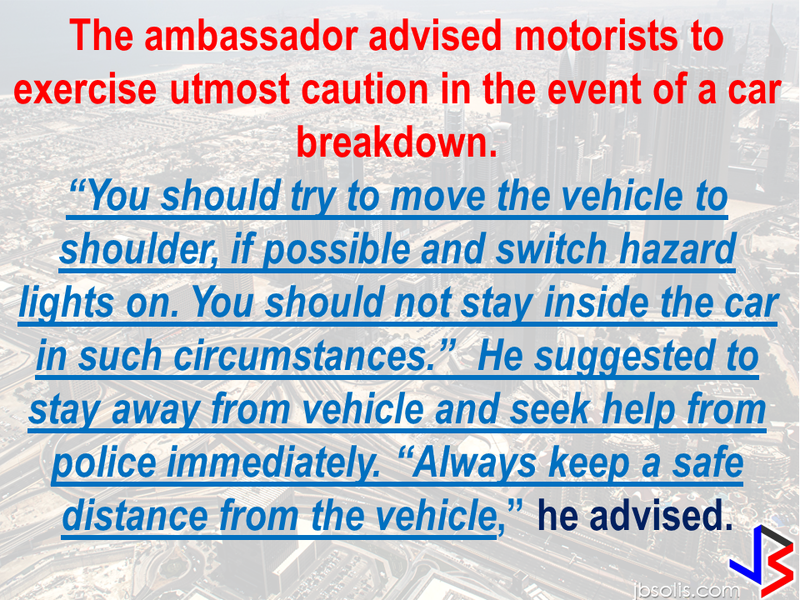 The OFWs were in a 4WD car traversing the road from Dubai to Abu Dhabi when their one of their tyres bursted, that's when another vehicle behind them fatally hit their car. 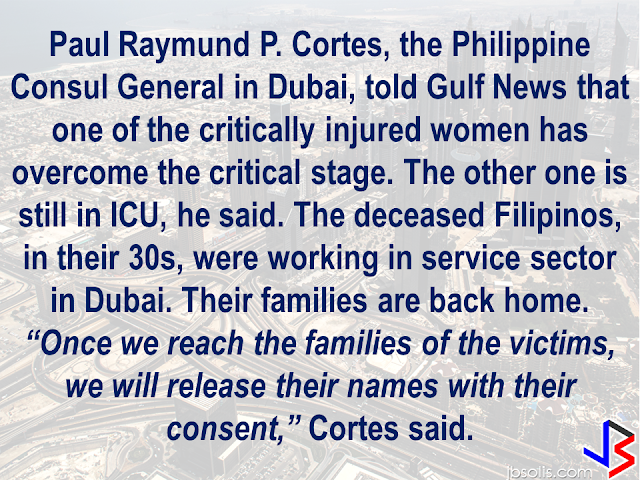 Four of the OFWs died on the spot, according to the Filipino diplomats in an interview with Gulf News. This photo was taken moments before the accident happened.Photo credits to The FilipinoTimes. “Two women were critically injured. 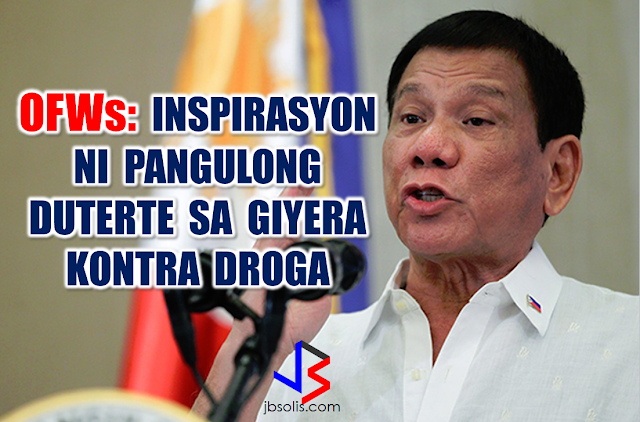 They are being treated at an Abu Dhabi hospital,” Constancio R. Vingno Jr, the Philippine Ambassador to the UAE said. 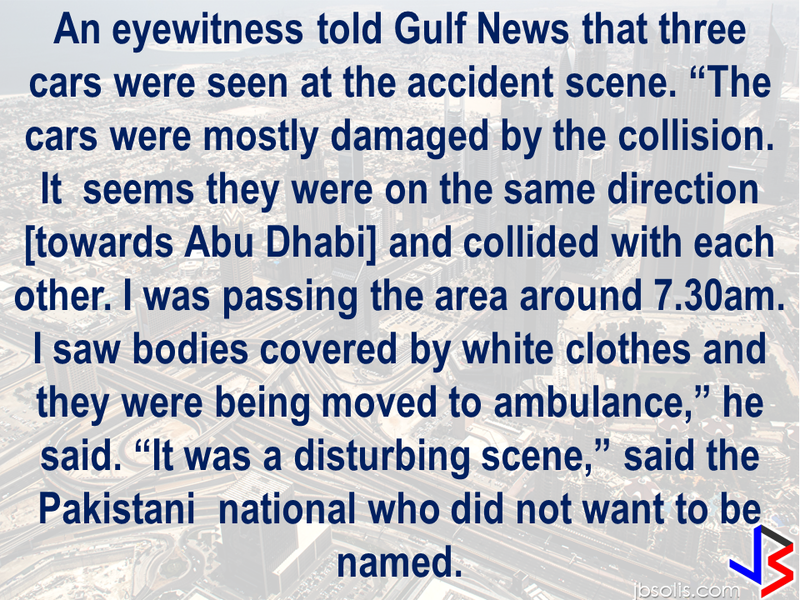 he also said that they are awaiting for the official report from Abu Dhabi police regarding the incident. 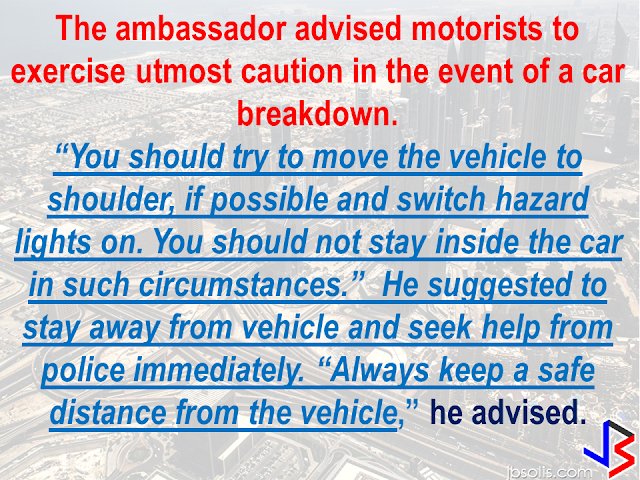 Vigno Jr. also said that based on the information provided by the friends and relatives of the victims, the OFWs had to get down from the car after their tyre bursted, that's when another car coming fast from behind hit them. “These are the narratives of relatives and friends. We are still waiting for an official report,” he added. As a Catholic practice during the Holy Week, the OFWs were visiting ng the churches across UAE when they met the horrible accident. Possible help will be extended by the Philippine Consulate General in Dubai to the bereaved families of the victims as they promised. Reports saying that the Embassy officials in Saudi Arabia have been acting slow with regards to helping stranded and runaway OFWs are not entirely correct according to Philippine Consul General Iric Arribas. He also said that the Philippine Embassy in Riyadh and the philippine Consulate in Jeddah are both providing the OFWs all the help they need which includes repatriation as well. 700 OFWs have been in jails in Saudi Arabia for various charges because there are no assistance coming from the Embassy officials, according to the reports from various OFW advocates.